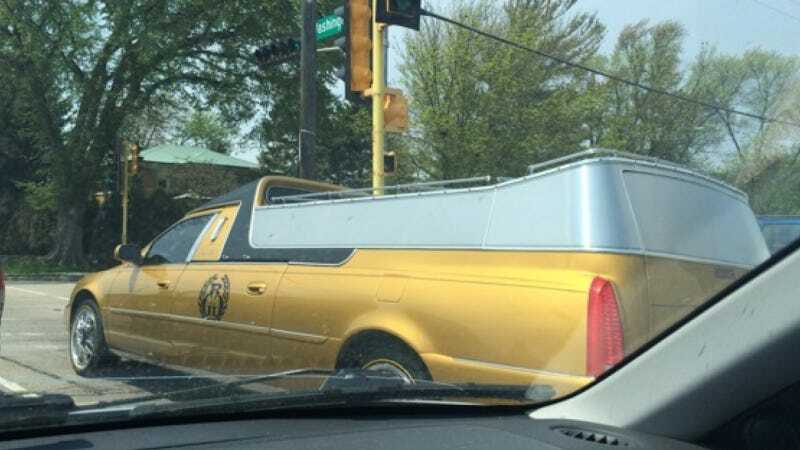 Spotted in Racine, Wisconsin— somebody's rolling to the grave in a custom Cadillac fit for a pharaoh. I... kind of love it? Why does death have to be such a somber occasion anyway? Maybe I want to be memorialized by a gold Caddy riding on what look like those wire rims The Game is always rapping about. Hat tip to Robert Hammen and Aaron Blend!